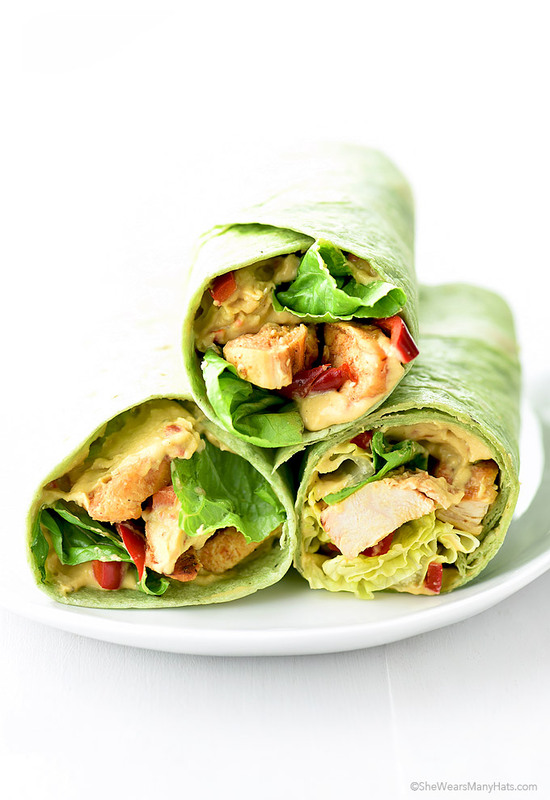 Pack along this colorful Hummus Grilled Chicken Wrap for a tasty and healthy lunch or snack. It’s back-to-school time, and back-to-school means being stocked up on after-school snacks and food for those lunch boxes. School lunches and after school snacks don’t have to be difficult or anything fancy. It only takes a few simple ingredients and ten minutes to make this satisfying and healthy lunch or snack for those young scholars. Some leftover chicken, tortillas and fresh veggies combine with your favorite hummus, like Sabra’s new Pizza Hummus to create these simple, tasty wraps. 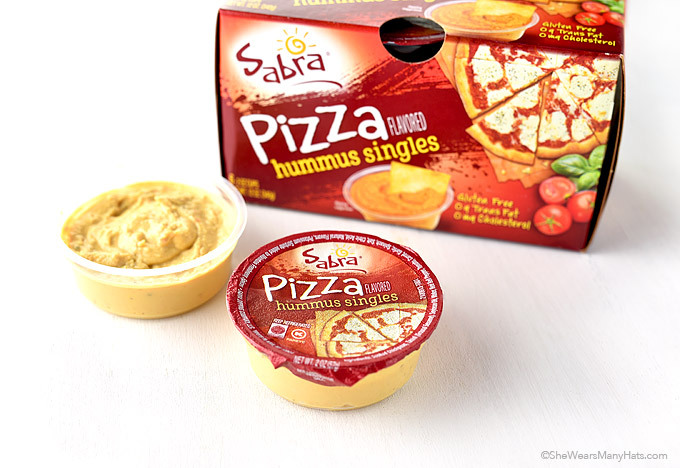 The new Sabra Pizza Hummus single packs are delicious and we all know how much kids enjoy pizza flavors. 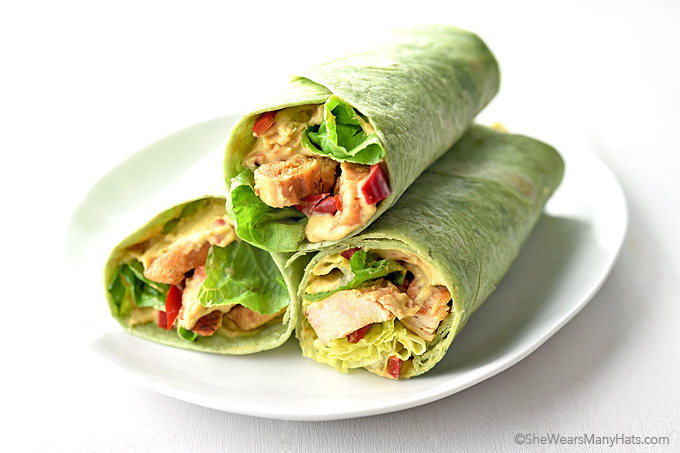 These Hummus Grilled Chicken Wraps are versatile. They can be filled with a variety of your fresh crunchy favorite veggies, your favorite hummus and grilled chicken. Grill some extra chicken to have leftovers for using in these wraps, or, if in a hurry, pick up a rotisserie chicken from your local deli. 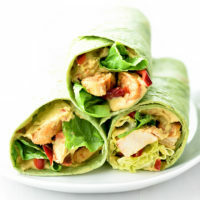 These wraps are easy and quick to prepare and perfect for packing for lunch or having ready as a hearty after school snack. 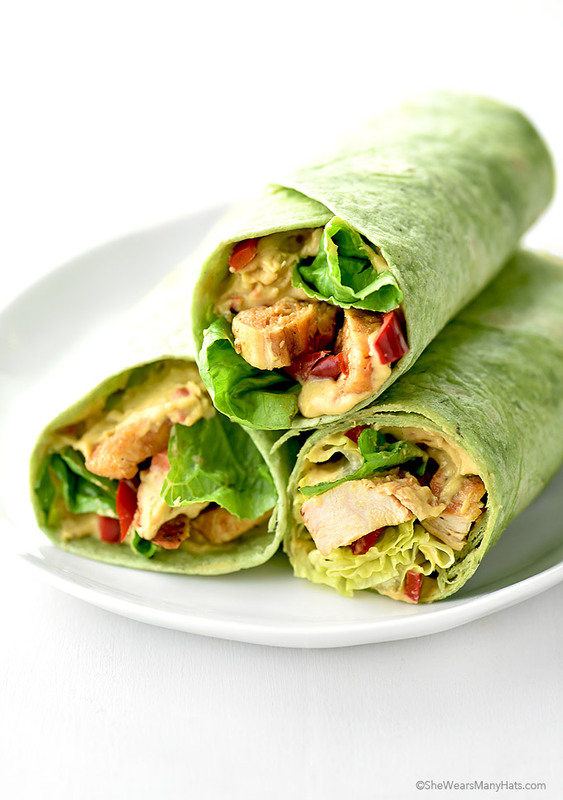 As far as the hummus for these chicken wraps, if you can’t find the new Sabra Pizza Hummus (it’s so delish! ), any of their hummus flavors will work just fine. The Roasted Red Pepper, Roasted Pine Nut and Roasted Garlic are a few of our favorites from Sabra that would be so tasty in these wraps. Enjoy! A delicious and healthy lunch or snack that is so easy to make. Spread hummus on soft tortillas, top with remaining ingredients. Roll up into a snug wrap. 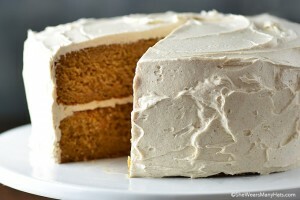 Cut in half in desired. This looks like the perfect light lunch to me Amy! Love easy wraps! Me too, Trish! I like these for using leftovers in. 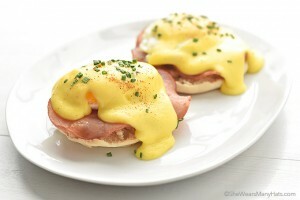 Totally going to have to make some of these to bring to work with me for lunch! Yes, Angie! They are perfect for packing for lunch. And if you like spicey food, don’t forget to add crunchy peppers sliced thin. YUM!